Ben Stuart Evans caught our attention when he sent us some breathtaking photos (shot by his riding partner Jeremy Jensen) of his epic trip riding from Oaxaca, Mexico to Caraz, Peru. 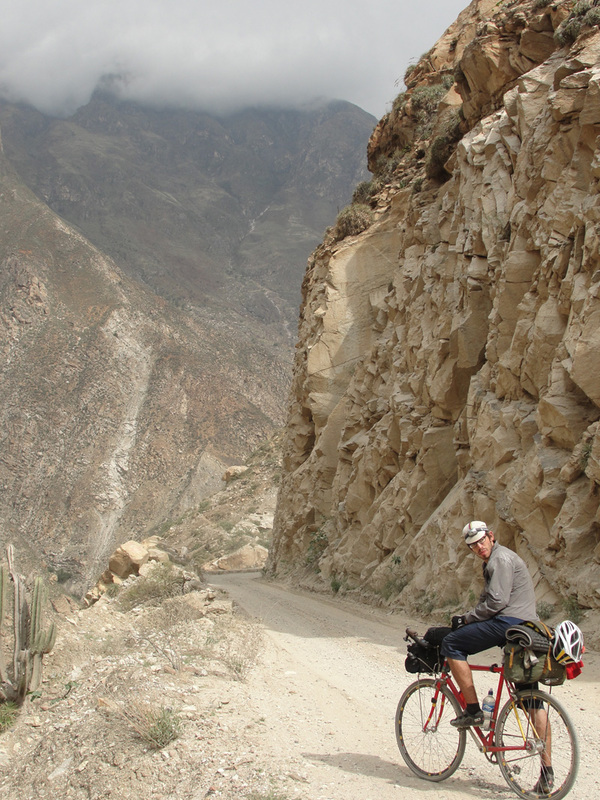 They estimated to have ridden 3000 miles and gained a total of 50,000 vertical feet. 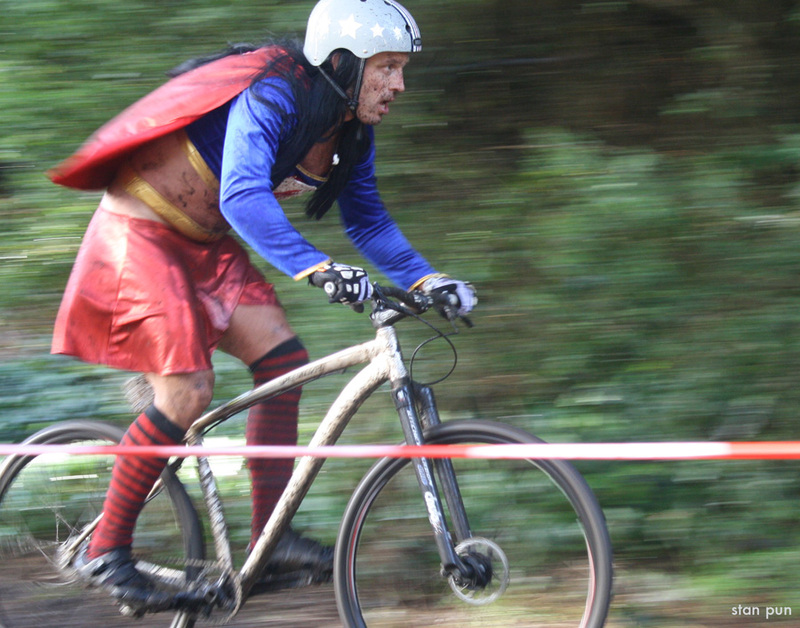 They did these all on fixed gear bikes – Ben on his 2006 fiery red Soma Rush. He took his Rush [he says 'the Rush took him'] over countless mountain passes, through jungles and deserts, cities and hamlets, past glaciers and erupting volcanoes. 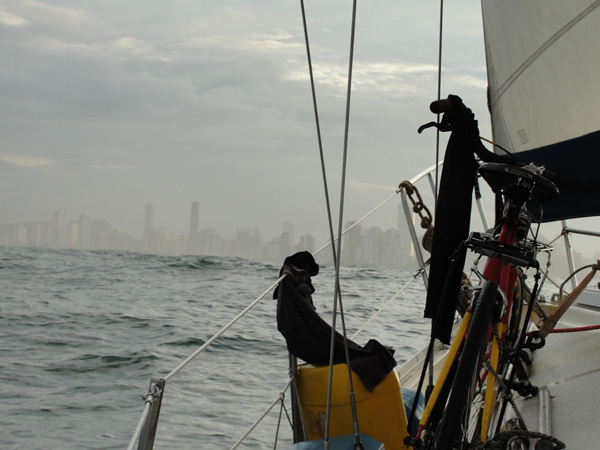 They even did a 300-mile sailboat voyage across the Caribbean in hurricane season. What also struck us is that Ben is not just a simple adventure seeker, but has a passion for social work/public health. 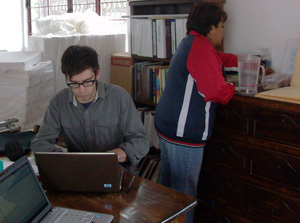 He was doing community health work in Oaxaca before his trip. On Dec. 4th he left the States to do work in Ecuador. What's your name, age, and education background? What kind of work have you been doing the last couple of years? Has it been more work or more exploring this past year? What is more satisfying/rewarding? Social work or riding? Ay, I don't think I can quantify that one. They sort of feed off of each other. I'm a person who really needs that physical outlet, so I think I'm better able to tap into my creativity for work when I'm riding regularly. The flip side is that I am more motivated to ride when work is tough and I have ideas to process in the saddle. 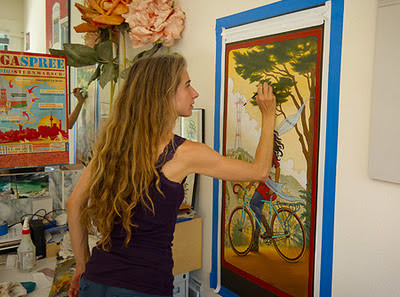 In that sense, work and riding are complementary for me, and mutually rewarding. How did you train/prepare for long distance riding? Honestly, my training was pretty sorry and Jeremy didn't train at all. I just tried to be in the saddle for at least 2 hours at a time a two or three days a week and ride really hard with weight for about a month leading up to the trip. We knew that the first few weeks of the tour would whip us into shape better than any training regimen, so we didn't worry about it too much. And frankly, sometimes, a midday mezcal was a bit more enticing than sweating up a mountain pass in the Mexican sun. 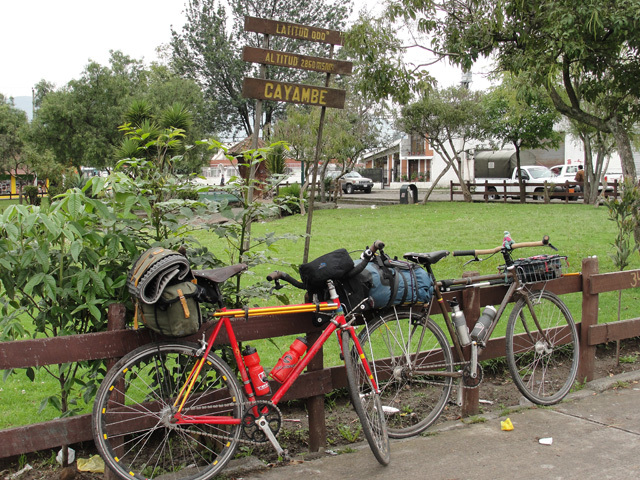 What ride/tour mistakes did you make you can tell us about to help aspiring touring cyclists to avoid? Beware of expensive niche gear! I spent a lot of time and money researching the "best" racks for my handlebar bag and saddlebag, only to toss both of those pricy gadgets into a roadside trashcan when they failed two weeks into the trip. Keep it simple, bombproof and versatile when selecting gear. Use gear that you can replace or fix on the road (i.e. : broken plastic brace, not so fixable), gear that can serve a number of purposes, and then carry at least a couple of the most basic "refacciones" (spare parts; ex. : adjustable metal clamps, heavy weight zip ties, duct tape!) to get you through the most barren stretches of riding on your trip. Avoid trip and route planning like the plague: I know it's hard not to plan, but seriously, just fly by the seat of your pants. The greatest fun on our tour was giving in to spontaneity 100% and enjoying the flexibility of riding for the journey, rather than the destination. Destinations change. Cranking through the rolling hills of Southern Mexico, Jeremy and I were stoked to be on pace for a 150 mile day and bent on making it happen when someone pulled over to chat with us roadside during a snack break. That someone ended up inviting us to stay the night on his brother's extravagant colonial hacienda just behind us--one of the most memorable events in 10 weeks on the road. 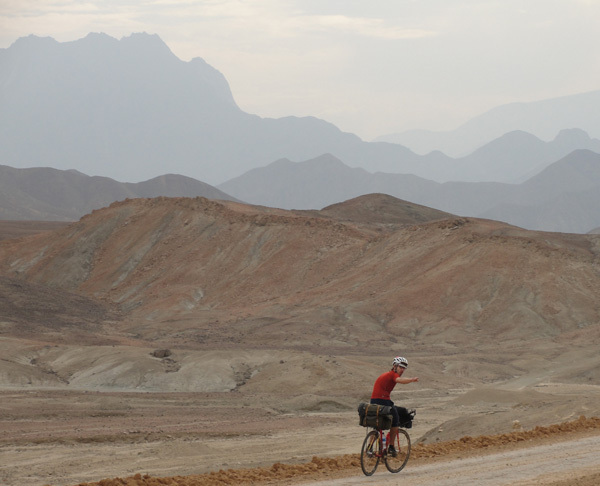 We thought of the trip as a holistic adventure, not just a cycling one, and were repeatedly rewarded for that outlook. So take a load off, and forget the plan--the unforeseen will probably be far more spectacular than anything you can devise. 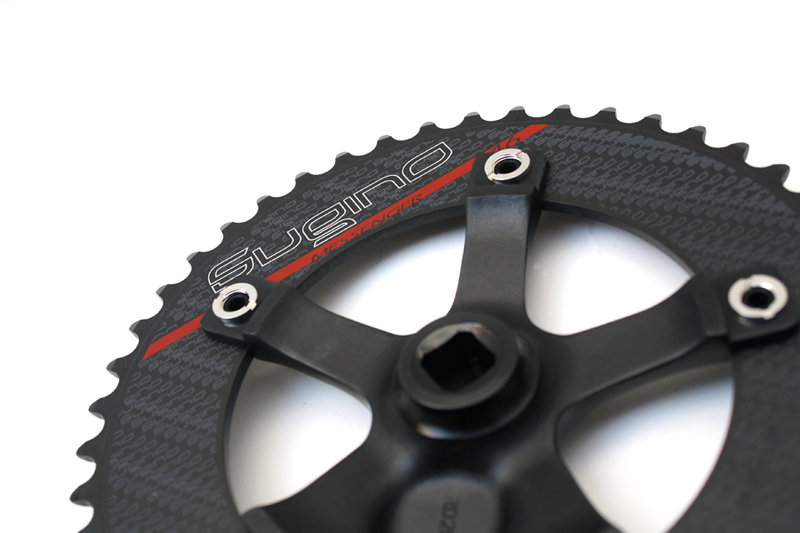 Why did you choose to ride fixed? Just riding a geared bike would've been challenging enough. Build from FreeRange Cycles (Seattle) from the first run. Our main distributor Merry Sales has all sizes in stock. They will be shipping backorders this week to shops and other distributors. Thanks for everyone's patience. The San Marcos is our sport touring frame set featuring Rivendell lugs and designed by the man behind Rivendell Bicycle Works, Grant Petersen. New to the Soma Shop. Cardiff Ltd. is now doing bags. 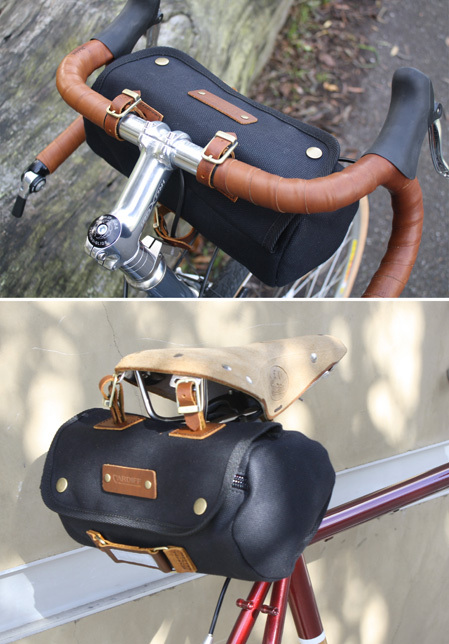 The Killgetty Roll Bag can be used as a bar bag or a seatbag. And will look great on a Soma frame. Heavy weight water-resistant cotton canvas with leather accents. Also newly available just in time to stuff a stocking or two is this MKS t-shirt that collects 10 of its more interesting pedals they've made over the years. Can you ID them all? In heather gray or black standard fit t-shirts. Eleanor Moseman and her Soma Saga made their way into the city of Urumqi this week -- in Xinjiang Province in Western China. The place is generally very arid so I am surprised to see all the snow. You may remember this is the place with all the riots a couple years back between the native Uighurs and the Chinese. Xinjiang is also where they filmed The Kite Runner, though that was in a different city. "After 10,000 miles toured and 3 years lived in China, Urumqi gets my vote for the best city with night markets and street food." Mamuang Thai House names his Buena Vista "Cha Yen". This won the "Staff Pick" award. He has chosen a Soma Lauterwasser Bar as his prize. A big thank you to all to submitted entries. You all will receive one our 10th Anniversary Posters. We must also thank those who helped vote for our winners. We enjoyed seeing all the awesome photos and the interesting bike builds. 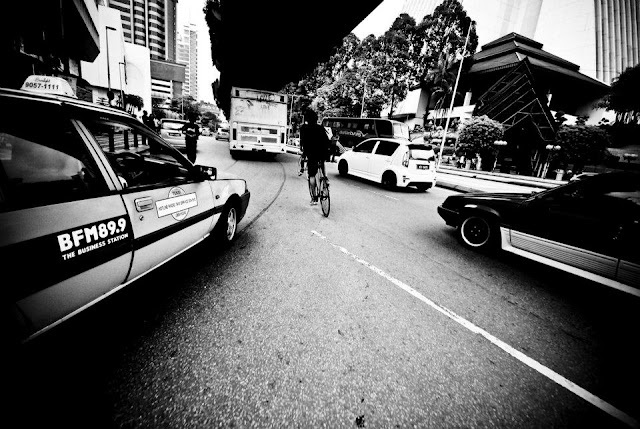 Bum Arrifin took this shot in Singapore. It received the most "Likes". Bum is going to get a Soma Porteur Rack w/Fence. Manny Acosta shot this on theroad going up Mount Diablo (SF Bay Area, CA - East Bay). This got the 2nd most likes. 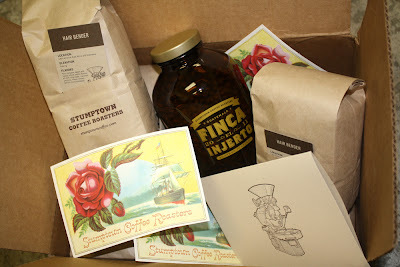 Thank you Stumptown Coffee Roasters for the thoughtful anniversary gift!!! They sent us some of their Hair Bender, which brings together coffees from three major producing regions (Indonesia, Latin America and East Africa) to provide the individual components of this complex sweet and savory blend which yields flavors of milk chocolate, caramel, jasmine, meyer lemon, apricot and pineapple. Sound great even though I don't know what a meyer lemon is. They also sent a jar of Finca El Injerto (from Guatemala). 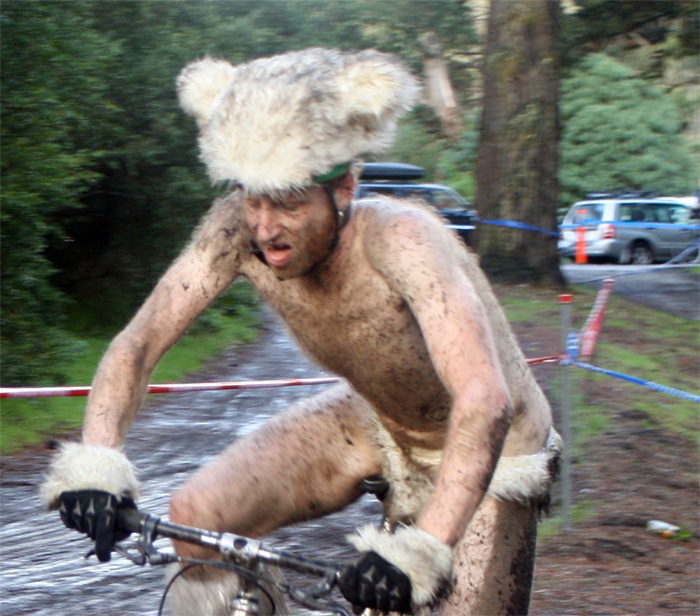 SF Bicycle Coalition's Winterfest - Dec. 4th! There's nothing mini about SFBC's Winterfest fundraiser bash which normally draws over 1500 bike lovers under one roof.....nothing except for the chance to bid on a Soma Mini Velo bike (a co-donation between us and American Cyclery. 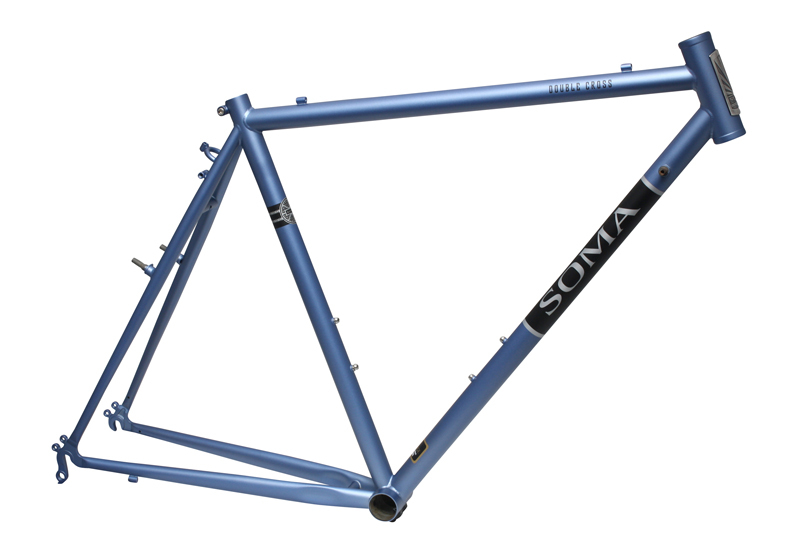 Also available is a Soma Double Cross frame donated by Citizen Chain. Great deals on early bird tickets. Get your tickets early--they're cheaper and and you don't have to wait in line. Cheers to that! Bottomless drink glass — beer & wine — this year for only $20. Art and bike auction catalog up now. We selected about 30 or so entries and posted them to Facebook. You have the power to vote and help select the winners. Vote for up to 5 of your favorites. Fifty folks get our Soma 10th anniversary poster just for entering. Entries and voting ends Nov. 27. HAPPY THANKSGIVING: On the 2011 Photo Contest Page somewhere in the comments is a Promo Code that will get you 20% off anything on this long Thankgiving weekend on The Soma Shop. Get started on your holiday shopping this week at The Soma Shop and do some good at the same time. Save on not only Soma goods, but MKS, Nitto, Pake and other brands on the shop. Sorry I don't have a larger photo. See page 74 on Dec. issue. 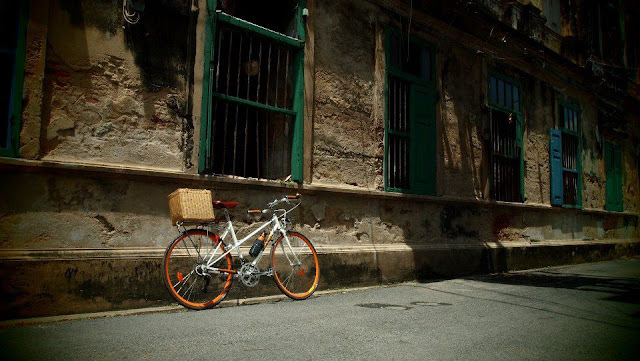 While I admire the beauty of many cruisers and town bikes, some feel frustratingly sluggish. Meanwhile, speedier townies seem to sacrifice the good looks or loungelike comfort I consider essential. The Buena Vista bridges these gaps. 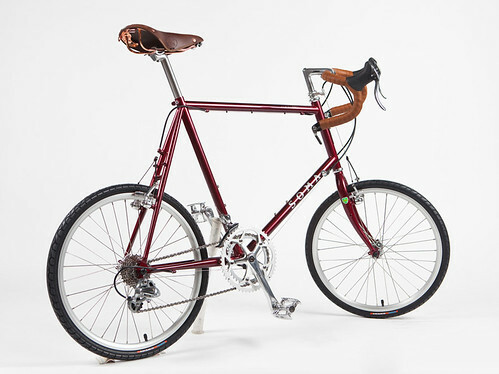 It's essentially a road bike that's easy to throw a leg over, thanks to the mixte design. 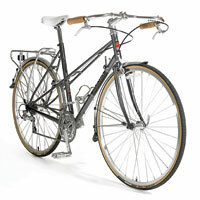 The Tange Infinity steel frame and fork and the high-volume tires ride smoothly on all but the roughest roads. The frame accommodates a range of components; I built mine with a mustache bar and a three-by-eight-speed drivetrain using down-tube shifters for a retro vibe. A drop bar and integrated shifters would look equally at home and would make the bike suitable for longer rides. 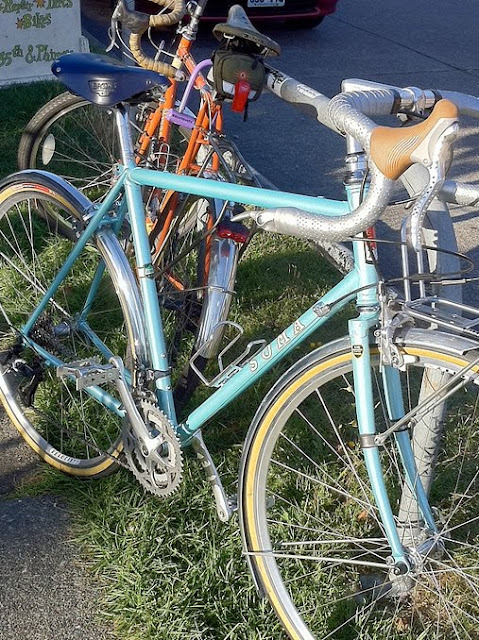 A number of attachment points let you outfit fenders (it accepts up to 28c tires with fenders; 33c without) and racks, which I took advantage of, easily carrying light loads around town. So what is being updated for 2012 you ask? - Double Cross: Our best selling frame gets a new color. The new Gun Metal Blue is not a traditionally classy as the Ivory, but the matte blue is neutral enough to go with a honey brown Brooks saddles as well as a variety of bar tape colors. 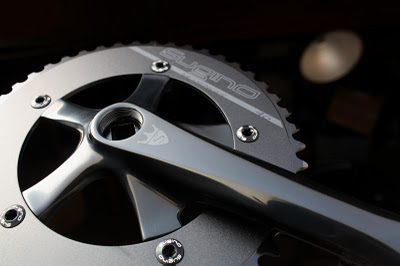 - Double Cross DC: The disc model with removable cantilever bosses will again be given old school downtube shifter bosses. The new color will be Slick Black. Both the above models are available in small quantities now. 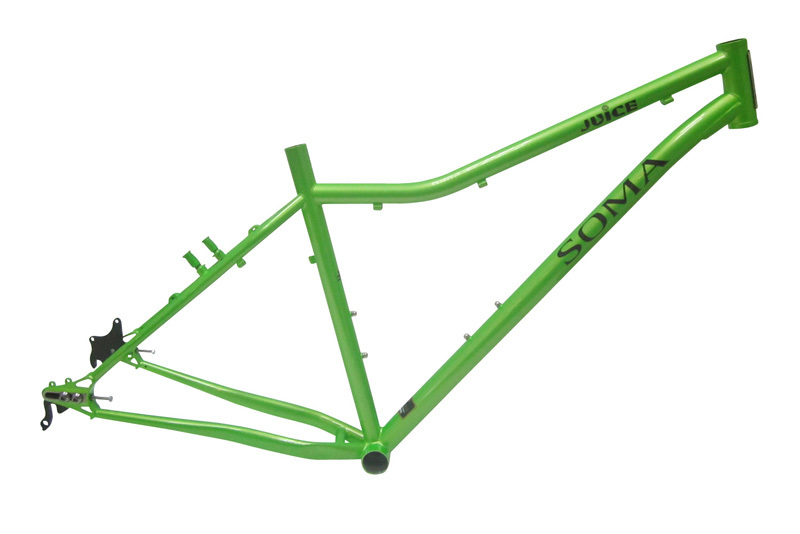 - Soma Juice: The popular Candy Apple Green will stay, but we will be adding Tange Stainless Steel Sliding Dropouts to our 29er. Available in February 2012. - (UPDATE) Trademan Cargo frame: They just arrived! - San Marcos: There have been a lot of inquiries regarding when are we getting a full size run? Probably in early December. Apologies for how long it's taking. The Groove hardtail and Van Ness model are being retired to trim down the line. There are no changes planned for our other models for 2012. This deluxe version of the Messenger features a new forging for the arms, a new "chrome black" finish, new shotpeen finish on the chainring, and slick double-sided graphics on the rings. 130BCD, 46T ring. Our Fundraiser For Japan through the Soma Shop and also from sales to our other distributors, we were able to donate over $11,000 to The Soma City Earthquake Disaster Orphan Scholarship Fund. Thanks to all our customers who helped out. 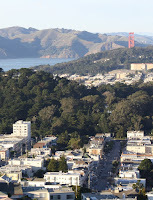 The city of Soma is one of the most damaged cities because of three major factors. The earthquake caused huge areas of land to sink into the sea, the Pacific sea coast was washed away by the tsumani, and the city is located only 25 miles away from the Fukushima Nuclear Plant #1. Soma has 48 orphans (under age 18.) “The Soma City Earthquake Disaster Orphan Scholarship Fund” aims to give $300/month to each child until he or she reaches the age of eighteen. These funds can be used for education and living expenses. The mayor Hidekiyo Tachiya handed out support money to the children on July 2. Our donation has gone to support one of the orphans for 3 years. It's been over 6 months since the disaster. Most survivors have settled into newly built temporary housing, but there is still a lot of work to do to dispose of debris and restore farmland. As of last month, the target amount for the fund was only met half way. The orphans are also getting ongoing care from clinical psychologists for PTSD. 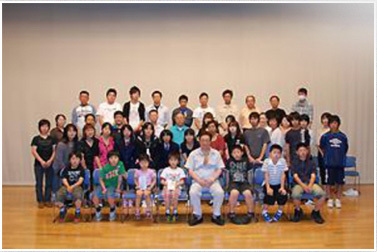 If you would like to find out more go to J-Aid USA. 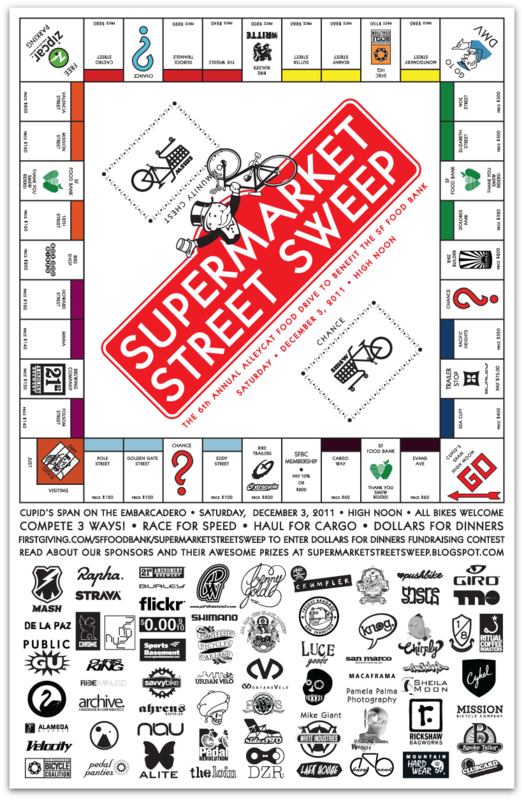 We love sponsoring the Supermarket Street Sweep not only because it benefits a worthy local charity, but because the event isn't just about who is the fastest. You'll see it's got a good vibe for all cycling lovers. 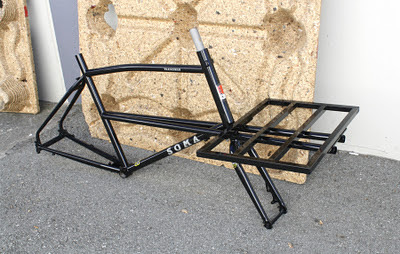 This year we are throwing down one of our new build-it-yourself cargo frames, the Tradesman. (A apt prize since a cargo race is one of the events.) This is constructed out of Tange Infinity CrMo butted CrMo tubing, not that high tensile stuff. 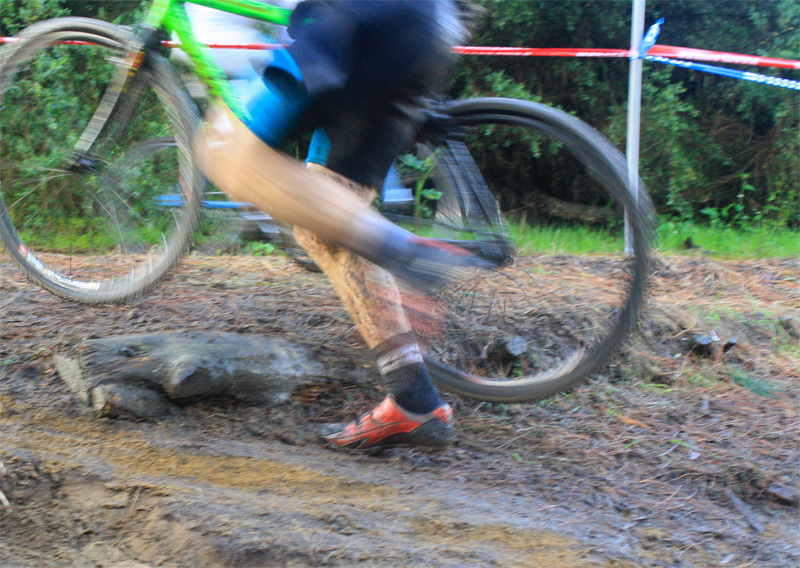 It takes disc brakes and 20" wheels. Pictured is one of only 20 produced. SRP is about $699. First person who can find our logo on this gets a Soma cycling cap. We encourage participants to not just show up to race. Please fund raise before, too. Anti-hunger programs will probably be getting cuts next year, so every little bit counts. Last year Matt King raised over $1000 all by himself. Dollars for Dinners, yo! Soma is celebrating its 10th Anniversary this year and we want to take this time to learn more about who our fans are and what they do with their Soma's. So we are doing our first photo contest. Fifty(50) entries of our choosing will get a copy of our 10th anniversary poster when it is printed. (We like lots of winners.) We will pick 25 or so of the ones we like best and post them on Facebook fan page for the people to vote on. Top 2 vote-getters get their choice of our handlebars, saddles, tires or racks, including our Porteur Rack worth over $100. There will also be a "staff favorite" award. 1. Photos of Soma bikes out on the roads, in the 'wild', on your city streets, or in your kitchen...(if you choose "in your kitchen", it better be a stupidly killer picture). 3. 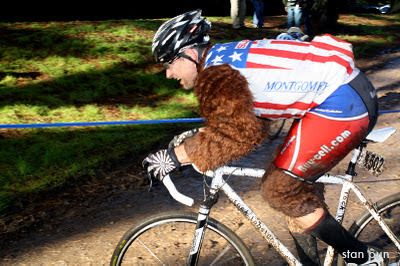 Photos of your most memorable bike-related experiences of 2011. Looking for beautiful or unique builds, nice composition/color/subject matter/story telling, creativity and "interestingness." STEP 3: If your photo makes it, hit up your social network to vote for your photo and other photos they like. Voting also closes November 27, 2011. THREE entries per person maximum (Must be your own photo, duh.) Descriptions of photos would be helpful for judging. Your full name and working email address would be helpful in tracking you down if you win something. If photos have faces of your friends in it, make sure they are OK with their faces shown in a public forum. By submitting you acknowledge you are allowing Soma Fabrications (aka The Merry Sales Co.) to reproduce the images for promotional purposes, which include using them websites, social media pages and other outlets). Photographer retains the full rights to their images. Winners will hopefully will get their awards within 4 to 6 weeks following close of contest. Void where prohibited. Photo: Eleanor Moseman's portrait of her Soma Saga. working on walls of public spaces. Our "parent" company, The Merry Sales Co. is hiring for some entry level positions. 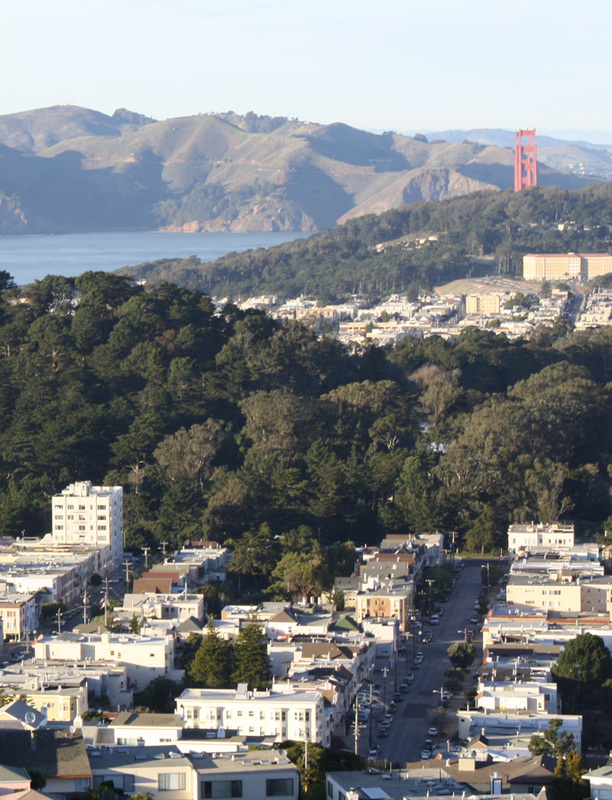 Small company vibe, year-round bicycling weather, just south of the great city of San Francisco, and easy access to some of the highest gas prices in the country. What else is better than stuffing yourself silly full of pumpkin pies? Seeing humongous pumpkins weighing almost a ton. They're like pumpkins on steroids. Only in America, where the pumpkins are overweight too! This weekend we checked out the Pumpkin Festival at Half Moon Bay, about 20 minutes away from San Francisco without traffic. It's quite a gem in a mostly urban Peninsula as it is the only part where farms exist. And monstrous pumpkins like the one pictured above. The festival was great. It featured artists throughout West Coast selling their crafts and wares. From glass blown pumpkins to fine handcrafted woodwork, this festival had it all. Whatever these things are, but they look good though. Halloween is coming up, YAY!